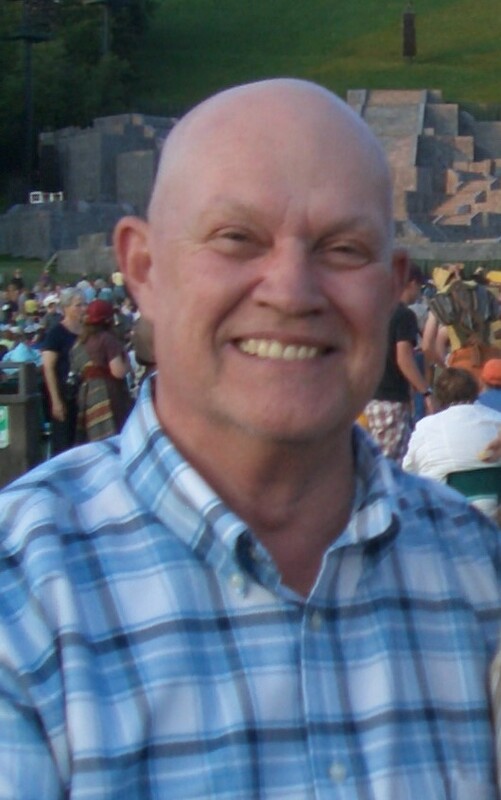 David (Dave) Alan, 70, of Mesa, AZ passed away on June 2, 2018 at 9:47am. He was born in Huntington, IN on September 26, 1947 to Don and Kathleen Hesting. Dave graduated from Huntington Catholic High School in 1965. He was the middle child of 7 siblings. Dave loved baseball. He coached in Indiana for 8 years and continued coaching for 10 years after moving to Arizona in 1982. He also played on a traveling team while living in Indiana and was the president of the Pony League Organization. Dave was a member of The Church of Jesus Christ of Latter-day Saints and served in many callings. He was a temple ordinance worker for 17 years in the Mesa, AZ temple. Dave is preceded in death by his parents and one sister, Marilyn Weaver. He is survived by his wife of 52 years, Sheila Hesting; children, Kimberly Hesting, Kyle David Hesting, and Jeffrey Donald Hesting; three brothers, John Hesting of Gastonia, NC, Jerry, and Mark (Pam) Hesting of Huntington, IN; two sisters, Sharon Double (Lee) and Nancy Buzzard of Huntington, IN; brother-in-law, Ron (Diane) Earlywine of Show Low, AZ; and a sister-in-law, Donna Myers of Mesa, AZ. Dave is also survived by 5 grandchildren, Lindsay Diaz, Billy Diaz, Markus Shepherd, Devyn Shepherd, and Kalli Shepherd; 1 great-grandson, Greyson Richards; and many special nieces and nephews. Services will be held at the LDS Mesa Salt River Stake Center, 6942 East Brown Road, Mesa, Arizona 85207, on Friday, June 8, 2018 at 10:00am. A visitation will be held the evening before the service on Thursday, June 7, 2018 from 6:00 to 8:00pm at Bunker’s Garden Chapel, 33 North Centennial Way, Mesa, Arizona 85201. Thank you,dear Brother and Sister Hesting, for teaching me to serve in the Mesa Arizona Temple, for your loving kindness and care, and from your beautiful and sincere smiles. I remember that each week, I could get a mint from Brother Hesting when we passed each other in the Temple. These sweet memories will always be with me when I think of Brother Hesting! Dear Sister Hesting, we thank you( and David) for your powerful example of love and dedication. Your humble spirits made a dent on ours. Positive attitude always. Reverence on serving the Lord always. How blessed we are by the opportunity we have had to serve shoulder to shoulder with you. We DO love you and admire and respect your teachings on how to be a Christ disciple. May the power of the love of the Lord be around and about you. I have so many wonderful memories from childhood on with Cousin Dave. He was such a caring, giving and funloving guy that always brought a huge smile to your face and carried his great personality throughout his life. He touched the hearts of so many and will always be missed. My sincere thoughts and prayers are with Sheila and their family. Rest in eternal peace Cousin Dave. I love you. There are no words to express our condolences to you dear friend at this time. We loved Dave very much and have always enjoyed seeing you both in the Mesa Temple. Remember our joke about speaking Portuguese/Spanish. We sure had fun with that. We are sorry that we are away and won’t be at the funeral. We put your name and family too in the Temple here at Laie. Sure love you dear Sheila and will see you when we return home. Bro Dave, always had a smile when we served with him and sweet Sheila in the Mesa Temple. I can not express how sorry I am for your loss. The world was definately a better place with Dave in it! I will forever remember Dave and the example he was to everyone, including me. Sheila, our sincere condolences to you and your family. What wonderful examples of love and service you two are to us all. You will continue to be in our thoughts and prayers. I’m so sorry about Dave, he always had a sweet smile on his face and had that cute little laugh that you couldn’t help but smile with. I loved getting to know you both in the Baptistry and in the temple. We seemed to be friends from the first moment I met you. Thank you for sharing your life and your love with me and my family.